Gamblers should always keep responsible gambling in mind. As much as you enjoy gambling online, you need to ensure that you are staying completely in control and absolutely protected at all times. It can be definitely be a source of great fun and amusement for a lot of people but it comes with huge risks associated with it. 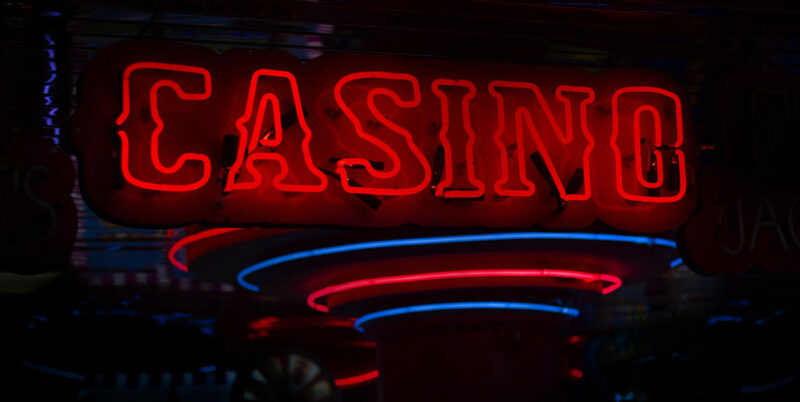 Although there are a couple of independent bodies in place to safeguard punters from shady and exploitative casinos, every gambler needs to have a sense of responsibility and some sort of personal obligation to wager astutely by avoiding risky behaviour. As a general practice, you must never gamble with the intention of making money but only consider it as a leisure activity, keeping in mind that you will tend to lose every now and then. Due to this, it is extremely essential to lay down reasonable limitations for oneself, taking advantage of the built in functions in various casino websites and setting your own spending boundaries and time limit in the mind as well. It is by no means a way of making money. Many a times, gamblers get accustomed to making superstitious assumptions regarding their chances of success. This might not be a problem in itself; however this can eventually lead to illogical and troublesome behaviour in the future, if left unchecked. Thus, in order to play responsibly and avoid getting sucked into imprudent and impulsive play, it is highly important for gamblers to be aware of the potential risks and clearly understand the perils of having superstitious beliefs. Managing your finances in gambling is of utmost importance to play responsibly. As most gamblers lose money in this game but you should always make sure to only ever gamble with the money you can afford to lose. It’s possible to enjoy yourself even when you are losing provided you are in the right mind-set and are completely aware of the danger signs. You should always ensure that you never gamble with borrowed money. Set strict limitations on how much money and time you are willing to spend on gambling in advance. You should not under any circumstances gamble with the money you need for other more important things in your life. Always refrain from chasing your losses in order to recover them, if you think you are gambling too much – stop right away! A great majority of gamblers manage to play within their means, appreciate their success, accept their failures and withdraw when they feel they have had enough. Nevertheless, there also exists a fairly small minority of players who find it exceedingly challenging or sometimes even impossible to realise when to quit. Such type of attitude is affiliated with addictive behaviour that can have severe repercussions. Therefore, if you feel you might possibly have gambling addiction then it’s best for you to seek timely help and guidance before it gets too late. A feasible option for players who begin to realise they are losing way too much in a casino is to pull out of their account as soon as possible. In the event of opting-out of their account, the casino management will lock off their account for a definite period of time during which they won’t have access to their casino accounts and they would not receive any promotional material. This is basically known as self exclusion or self-banning, a voluntary process whereby an individual having a gambling concern deliberately excludes oneself from specific gambling areas, products or online providers. If you think you or someone you might know is suffering from gambling addiction, don’t worry. Gamcare and Gambling therapy are two popular charities that provide free support, information and advice to thousands of gamblers who are struggling with this addiction. Gamcare is a UK based charity which offers counselling to those suffering with gambling problems. Therefore, if you feel that your gambling activities are getting out of hand you need to address the problem to get things back in control as soon as possible. Similarly, Gambling therapy is also a free of cost wed-based service that provides emotional support and practical advice to individuals adversely affected by this problem outside UK. It offers gambling therapy to them through various channels. This includes a number of online groups and forums, online chat option for live advice, private and confidential email correspondence. The online forums give the distressed players an opportunity to discuss their problems with people under similar circumstances in a safe and secure environment. There are a lot of other tips that can help you gamble responsibly such as not giving into temptations when gambling, don’t use alcohol or drugs while gambling as this might result in impulsive play. Use a debit card instead of your credit card in order to keep a track of the money that you are spending and remind yourself of how long and hard you had to work to earn that money. There are a couple of high-risk situations during which gambling should be avoided which includes times when you are feeling angry, lonely, depressed or stressed. Always read the fine prints on all marketing promotions such as ‘free bets’. Never forget that any form of gambling, be it online poker, betting, live casinos, is not an acceptable way of making money. Never thinks of gambling as a means of solving personal, family or financial problems. With the increasing opportunities to gamble, spreading the word about ways to gamble without any harm is becoming more important than ever.